CakePHP started in April 2005, when a Polish programmer Michal Tatarynowicz wrote a minimal version of a rapid application development in PHP, dubbing it Cake. He published the framework under the MIT license, and opened it up to the online community of developers. 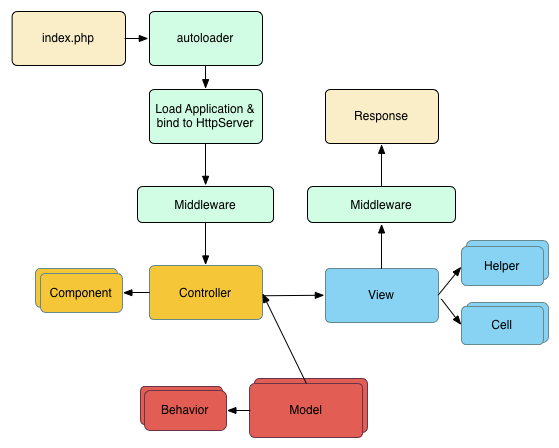 As an MVC (Model-View-Controller) based object-oriented framework, CakePHP provides a collaborative environment for both designers and developers. The framework comes with rich set of libraries to help you write code from scratch. Q2Success has CakePHP developers who have proven track records of exceeding the expectations of various clients and delivered custom CakePHP solutions to serve businesses efficiently. Team Q2Success deliver projects of any size in an organized manner respecting the project deadline by following modern Project management Techniques as well as Agile Methodology, so that we can provide you the industry best ROI (Return on Investment). As a CakePHP development company our strength lies in strong coding capabilities.